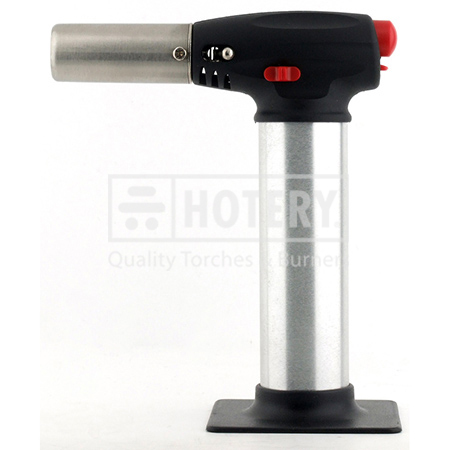 HOTERY PRODUCTS CORP. specializes in researching & producing different types and specifications of Creme Brulee Torch. And Ours factory is in Taiwan, with good quality and competitive price, please contact us for more details. We collect all serious abroad demands and offers the best prices and quality. Creme brulee blow torch. aluminum torch body. 1. Self-igniting piezo electric ignition. 2. Powerful flame in anti-flare. 4. Flame adjustable. with safety lock. 5. Refillable lighter gas. fuel cap: 7.8g (13.3ml). 6. Around 45-60 mins buring time. 7. Temperature – up to 1000 ℃(torch). 8. CPSC and CE approved.